In the Scottish U18 girls championship at Scotscraig, top seed Louise Duncan (West Kilbride), the leading qualifier after the 36 holes of stroke play, lost 2 and 1 against Broomieknowe’s Hannah Darling. 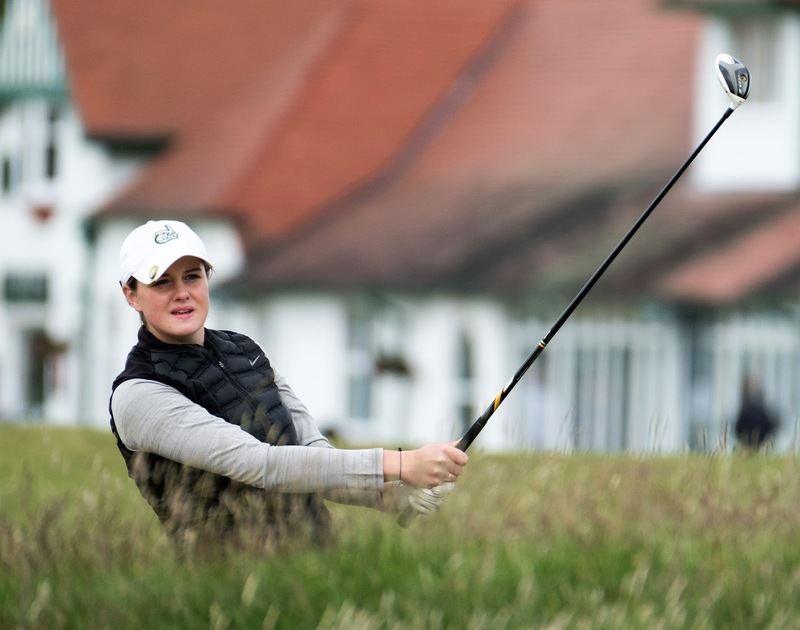 In the other clash, there was another sight surprise, as favourite Shannon McWilliam from Aboyne, who will represent Scotland at women’s European level next week, was edged out 2 and 1 by Scotland girls’ international Jillian Farrell (pictured) from Cardross. “I feel like I kept the ball in play very well,” said Farrell (pictured left by courtesy of Scottish Golf). “I was hitting fairways and greens and that definitely helped. Getting my longer putts to the hole helped too. The girls’ handicap match-play final was won by America-based Abby Hunter. She finished one up against Claire McLaughlin from West Kilbride. Josh Greer, a 16-year-old Scot who moved with his family to Australia five years ago, has stormed all the way to the Scottish U18 boys’ championship final at Scotscraig GC, Fife. 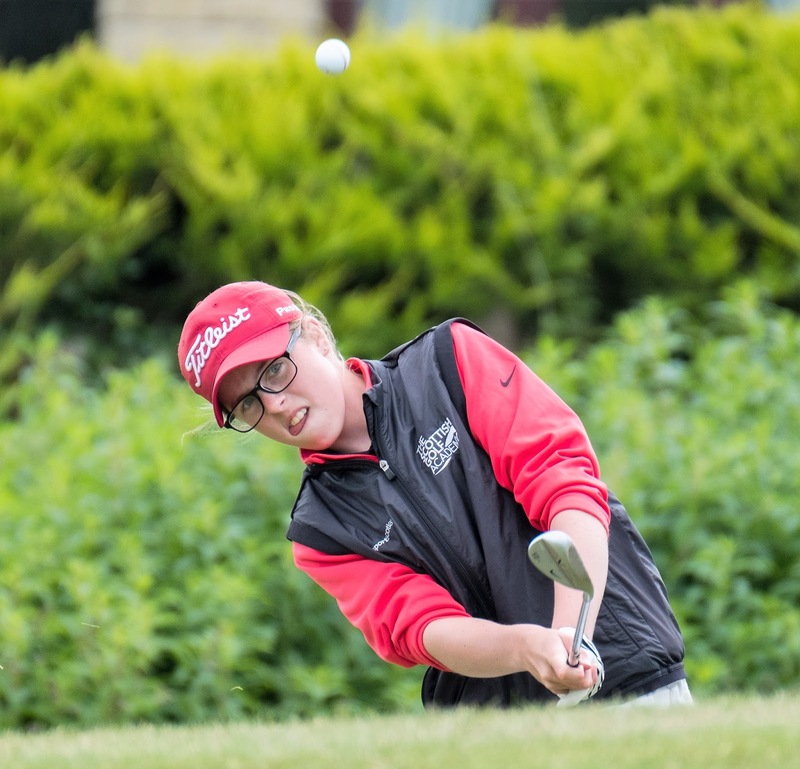 After a week of upsets at the event, running concurrently with the Scottish girls championship for the first time, Greer saw off two Scotland boy internationals on Tuesday, first taking the scalp of Lewis Irvine (Kirkhill) and then Callum Bruce (Duff House Royal). A slender figure who originally hails from Gourock, Greer was cheered on by his dad, John, whose working life took him to Perth (the Oz version) in 2012, where his son now plays out of Joondalup in Western Australia. Having held his nerve to oust Irvine at the 20th, Greer was always in control against Bruce, but had to wait until a birdie at the 17th to claim a memorable 2 and 1 victory. While the steady drizzle in Fife could have acted as a challenge to Greer, he simply took it in his stride as he continues to enjoy his summer golf ‘holiday’ back in Scotland. “The new date for this year’s event has allowed me to play,” said Greer, a shorter hitter who only recently turned 16. “I’ve enjoyed my return to Scotland. You could be more aggressive today as there wasn’t as much wind. Greer will now meet Greg Dalziel from Airdrie in Wednesday's 36-hole final at Scotscraig, as he came through by a hole against Lochgelly’s Dean Walsh after his poor finish.